All your save states are gone! 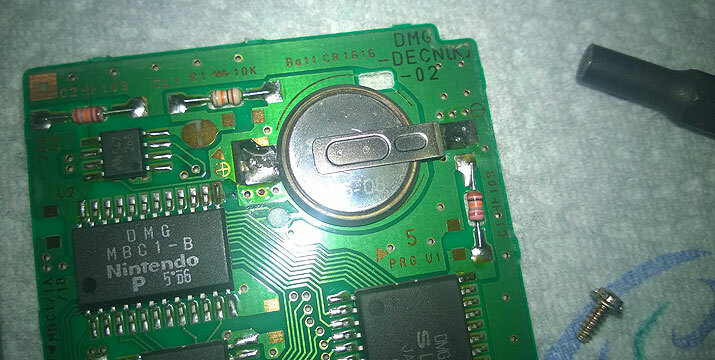 Since 2010 or even before you may notice many tutorial videos appeared on the internet, where people started to post tips how to replace battery on a single cartridge. That was the time when 3V button cells (made in mid 90s) began to say "good bye". So why did they had to use batteries back then? Why not using flash-memory? Using volatile memory like DRAM & SRAM was very common in consumer products. It was very cheap in first place. Flash-memory existed already, but it was much more expensive to implement it. Also nobody expected back then, people will still play this games after 20 years. Retrogaming was not invented yet. What kind of battery and where to get new one? First of all you have to know what kind of battery type you need for your game. Usualy it is a CR1616 in almost all GB Games. 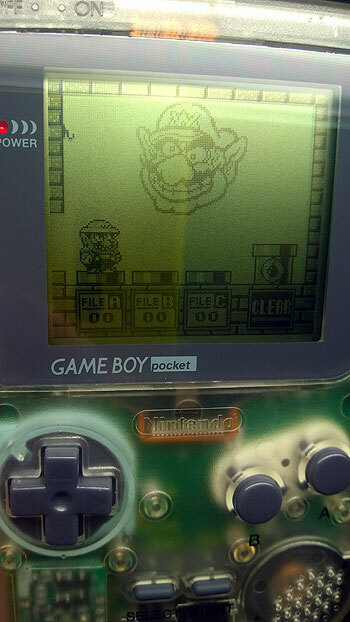 But there are also some games uses CR2025 type, like Wario Land 2. 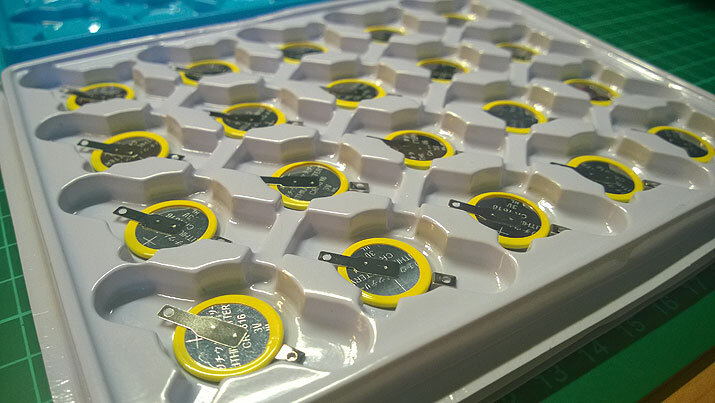 The exact name of the battery you need, can be found on the PCB near the battery itself. 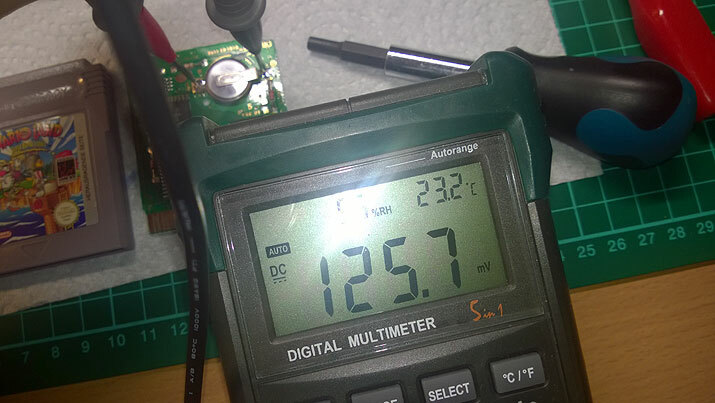 Also it is important to know that it is not good try to solder the battery on a solder tail/tab or cable. If you do it, you will add enormous stress on the chemical content of the battery, reducing it lifetime or even damaging it completely. Go and buy a proper button cells with tabs on it. I got my batteries from AliExpress, you can also get them from eBay if you in hurry or don't care about the price. 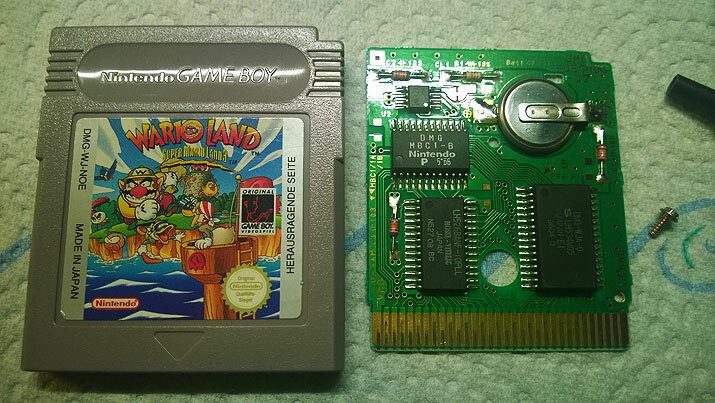 Wario Land was my first game on the original DMG ... I love it! Well thank you for that Nintendo! To open cartridges or other peripheral you need a special "NINTENDO" screwdriver or bit. Nowadays it is very easy to get one, but back then(mid 90s), without internet and living in the countryside, almost impossible. To make bit by melting plastic pen was never an option for me. Got delivery from Aliexpress ... CR1616 100pcs. I always put a date code on it, for some irrelevant statistics another 20 years later.